Comment: Looking for estimates for concrete refinishing to driveway, walkway and patio. Terrazzo Surfaces & Concrete, Inc.
Schaumburg Concrete Contractors are rated 4.71 out of 5 based on 1,202 reviews of 73 pros. 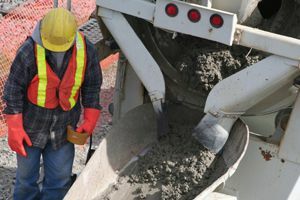 Not Looking for Concrete Contractors in Schaumburg, IL?